Squash House Quilts: Back Home Again! Mr. Squash and I had a fantastic time on our Canadian adventure! We arrived home on Monday around 10:00 pm. Going up we spent two nights on the road "just because" and coming home we thought we could do it with just one night on the road. We didn't even make reservations anywhere on the way home because we weren't sure when we would be leaving Caverhill Lodge. Ooops -- that was a mistake! By the time we crossed the border and landed in Omak, WA, there were no hotels available and it was about 2:30pm. So, we were feeling good, had a great book on tape and decided to push for home! After stopping for a quick salad in Moses Lake, we made it home - and Miss Sophie was really happy to see us! I've been busier than you can imagine since then catching up on laundry, picking and cooking tons of tomatoes, responding to email and generally getting organized! I thought I would break our adventure into several posts. 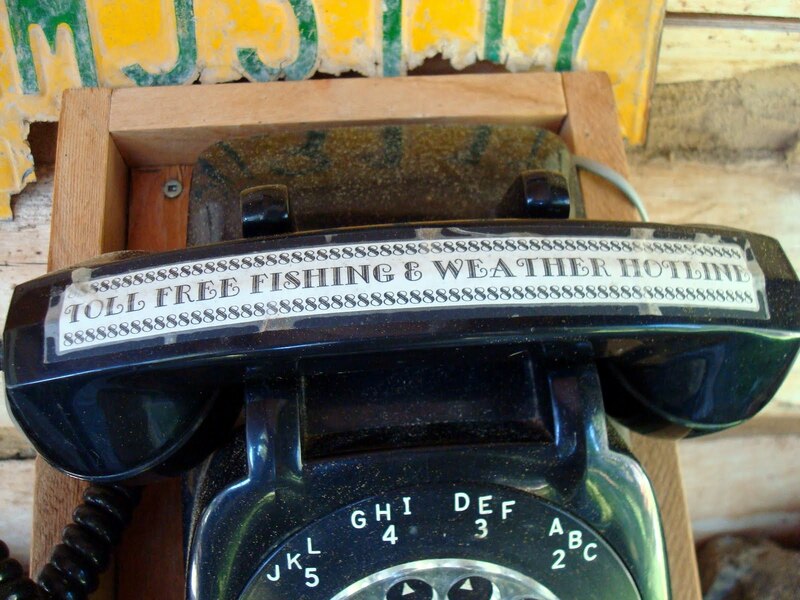 Today I'll start with the trip up to the lodge. 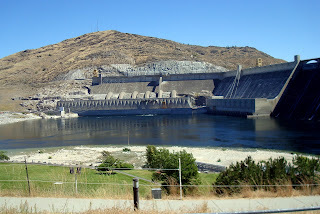 We traveled up to the Canadian border via Grand Coulee Dam, which neither of us had ever seen. On a little-traveled road it seemed as though we drove through endless fields of wheat! Many farmers are still going through harvest and the scenery was gorgeous! 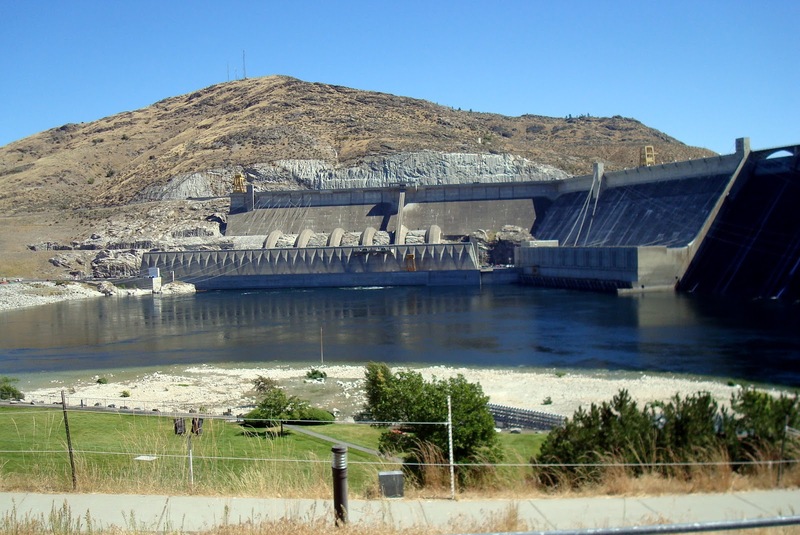 Here is the dam - much like many others we've seen and they never cease to amaze us! We ate our lunch here and headed for the border. After successfully crossing the border, we spent the first night in the resort town of Osoyoos, which is situated on a huge lake of the same name. Not much to say there other than that it was a gorgeous day and lots of folks were enjoying the lake! The next morning, as we drove north, Mr. Squash noticed this quilt shop and insisted I stop! I was so enthralled with all the fruit orchards and wineries along the road that I didn't even see it! 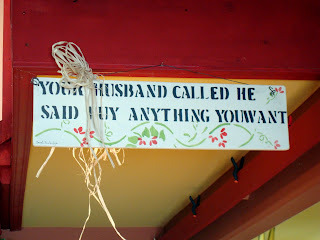 While a very small shop, the proprietor was really nice and allowed me to take a few photos. She even had a Gammill longarm purchased from the same place I got mine! 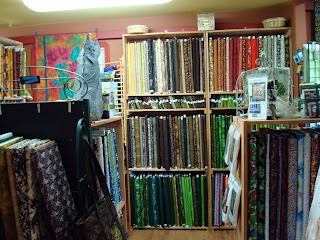 Her selection of batiks was wonderful, but I held myself back! The Quilt Cupboard you see was full of finished quilts you could buy! 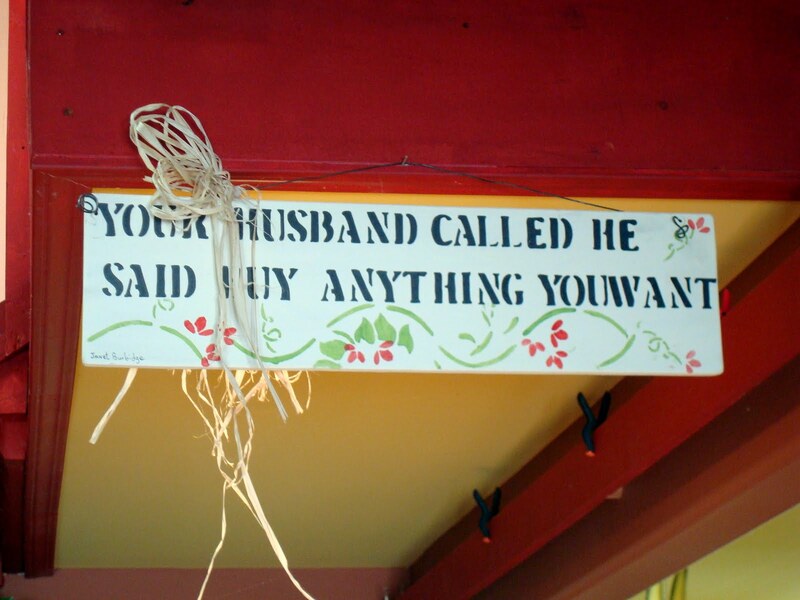 After seeing this sign, I did allow myself a few "small" purchases - I mean, how could you not - LOL! 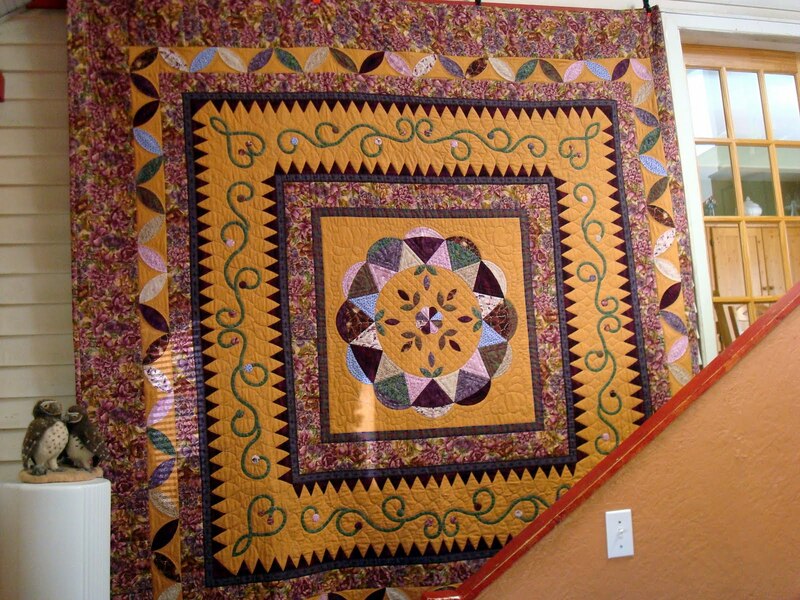 This beautiful quilt hung just inside the front door. After tearing myself away from the shop, we continued on to our second hotel in Kamloops. Many of you, especially those of you who live in Canada, know how vast a country it is! How I wish there had been a place to pull over and take photos along the way. The vistas and views and the enormity of it all was breathtaking! We crossed one long pass that I thought would never end - the high point was nearly 5,700 ft. and all you could see all the way to the horizon was forest and mountains! It's probably good that we couldn't stop as we would have never gotten to Kamloops! 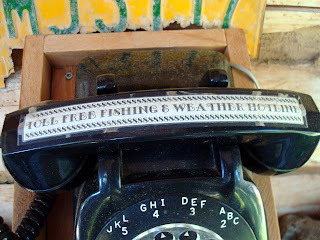 I have so much more to tell, and I will next post, but I'll tease you here with a few photos from Caverhill Lodge. This was looking at the lodge on our boat ride in from the where we left the car. Our cabin isn't in this, but would be off to the left of the photo. Even though we were in the wilderness, we had all the comforts of home...or at least we thought we did! Can't wait to see more of your adventures in the Canadian Mountains. Can't wait to hear more of your adventure and am looking forward to seeing more pictures. Pristine. I've never been to Canada and have always wanted to visit. 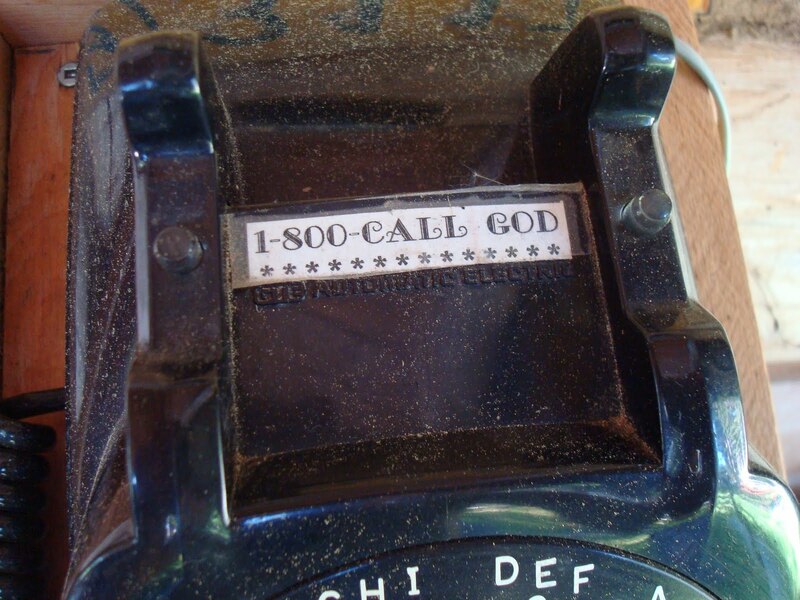 I wonder what the rate would be calling God all the way from Canada? Looks beautiful so far - can't wait to see more! Welcome home!! What gorgeous scenery! Wow, I can almost smell the fresh air! A quilt shop too! Sounds like the perfect trip. That phone is hilarious!! I can't wait to read more!!! That quilt shop in the middle of all that wonderfulness?!?!?!? And wine thrown in, to boot? I'd never want to leave. Looks like a wonderful trip. I really enjoy the "Ride Along"
Looks like plenty of good vacation memories were made! 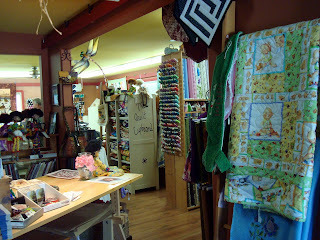 That quilt hanging in the shop is really gorgeous. The pictures look very promising! 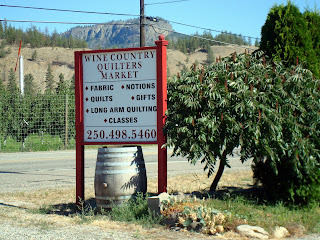 And a quilt shop in the middle of almost nowhere, naturally you must stop. sounds like a neat trip so far. 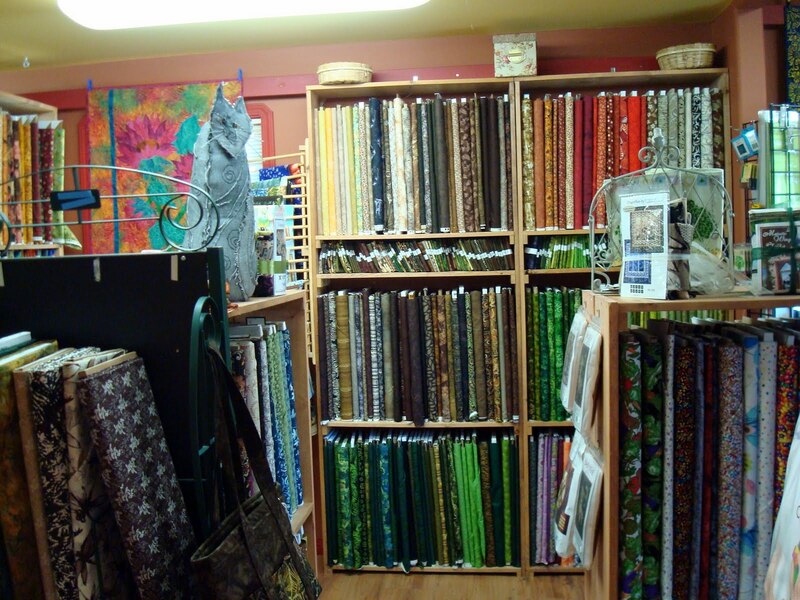 I can't imagine you not seeing the quilt shop. 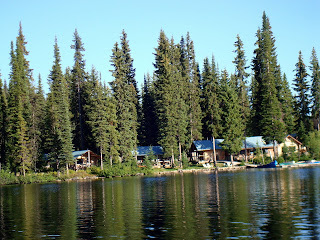 Love the photo of the cabins and trees. The phone made me smile. Looking forward to more of your adventures. Need Your Help - Fabric Search! 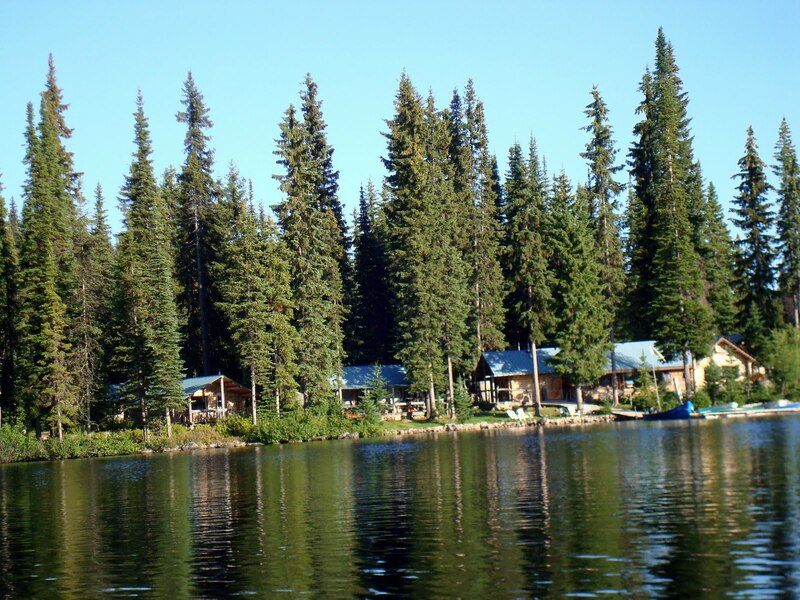 Caverhill Lodge Fishing and a Party! 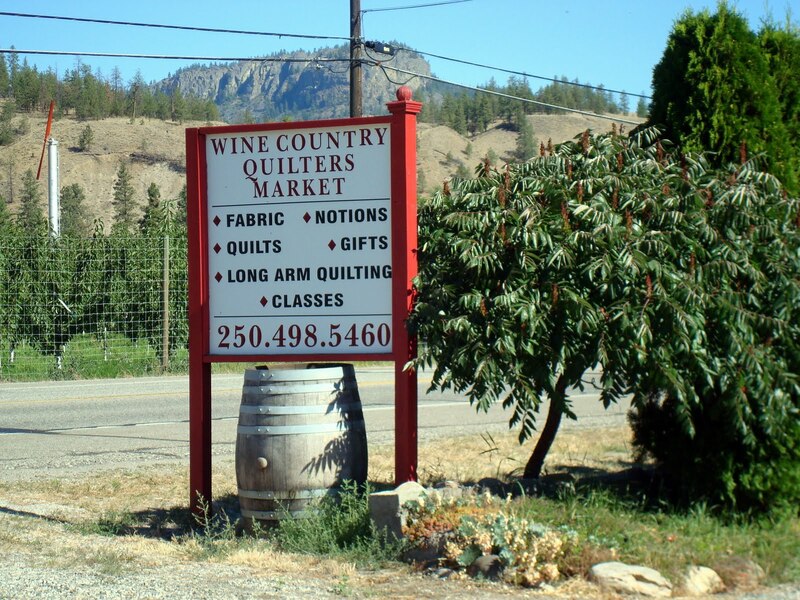 Caverhill Yard Art, Vintage Quilt & Food!